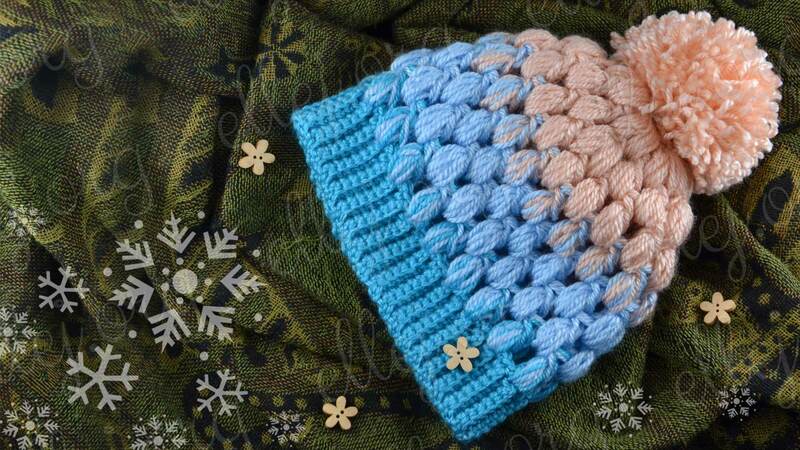 Cozy and very pretty Hat for one girl for a photo shoot. 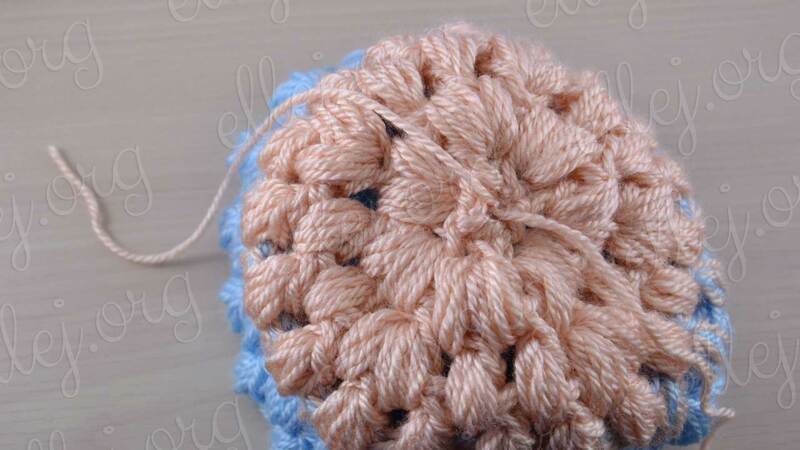 This hat crochet from soft acrylic yarn. 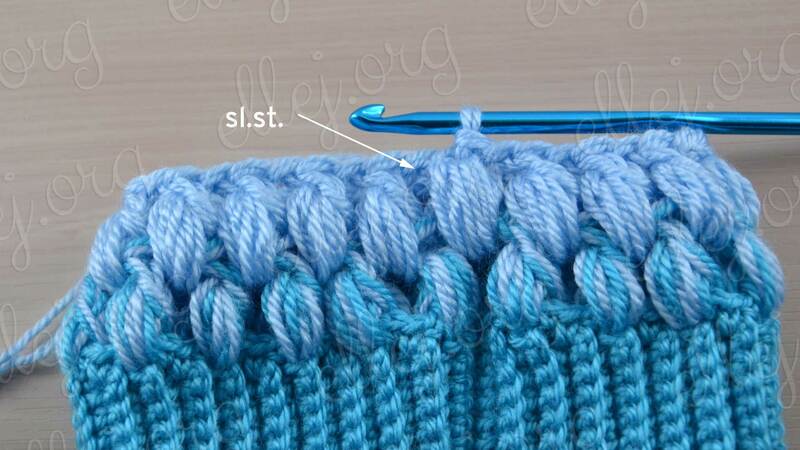 Lining I did not, because originally this hat was planned only for the beautiful image. 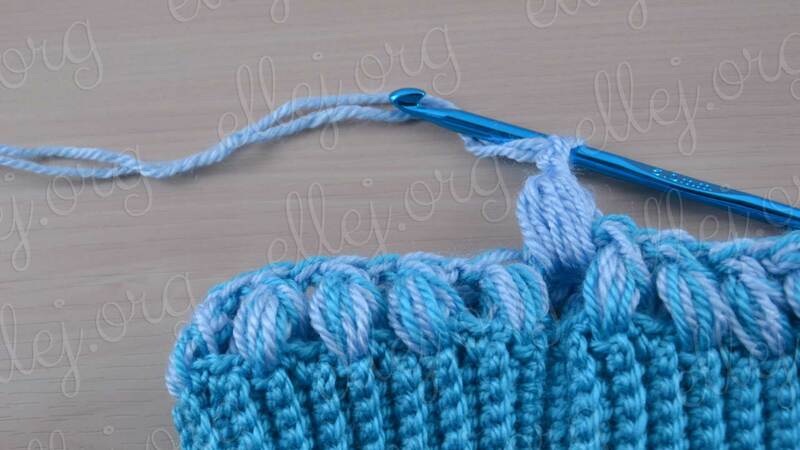 If you want to put on such a child’s hat in cool weather, I advise you to sew lining. 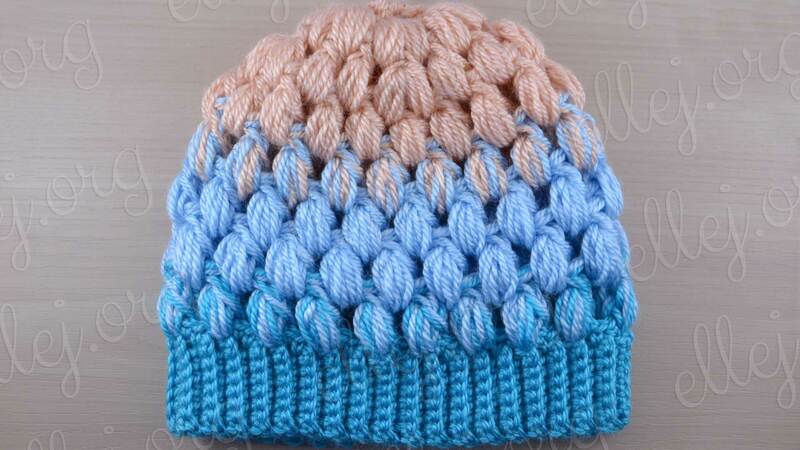 Despite its warm appearance, hat severely blown. 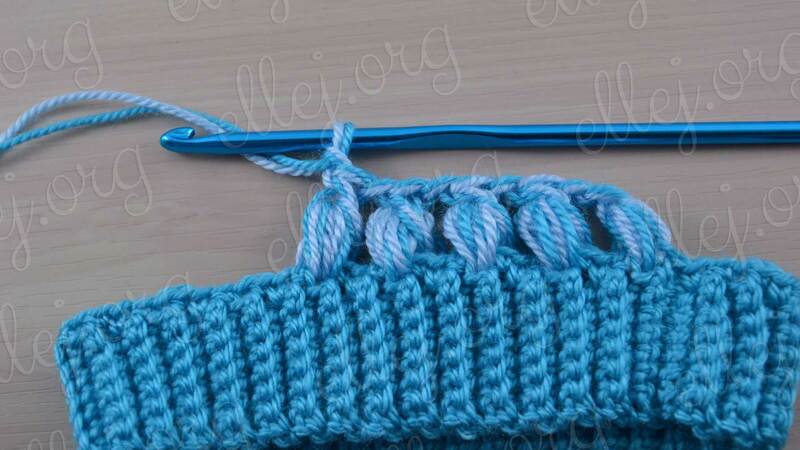 Young mistress of this outfit just 4 months, so master-class for this age. 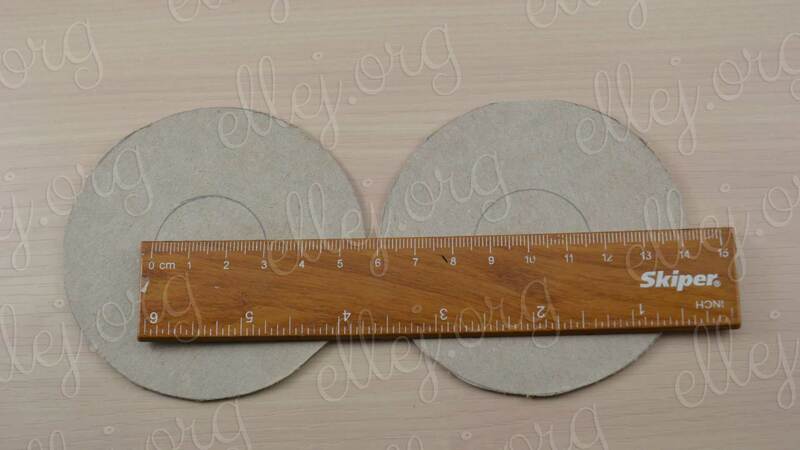 Approximately 41-42 cm head circumference. 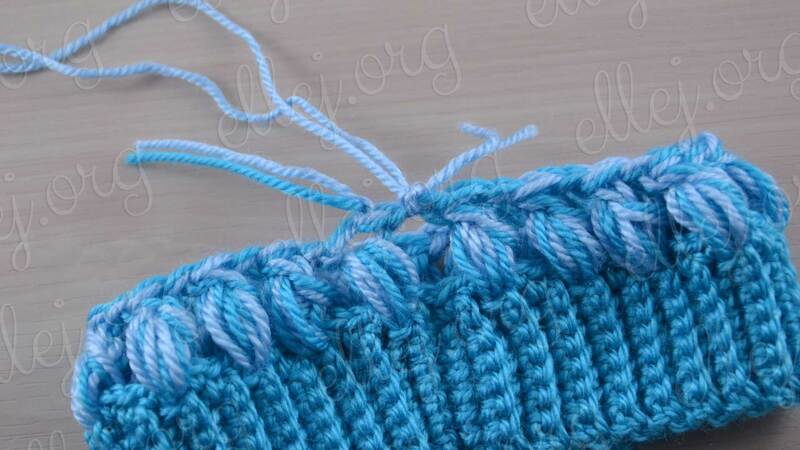 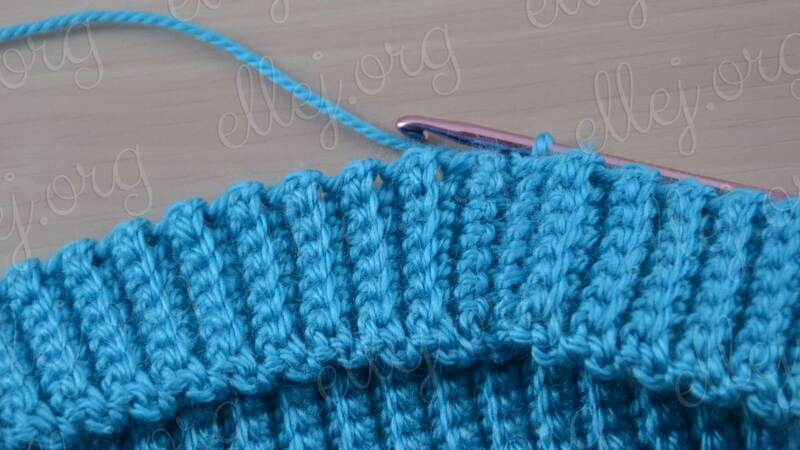 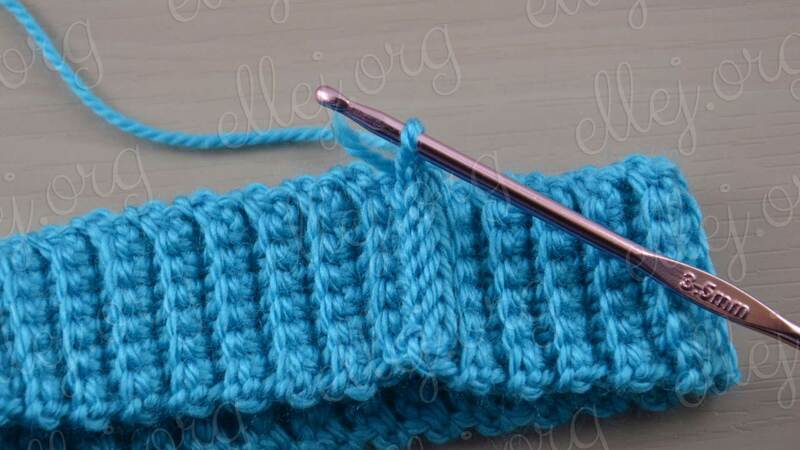 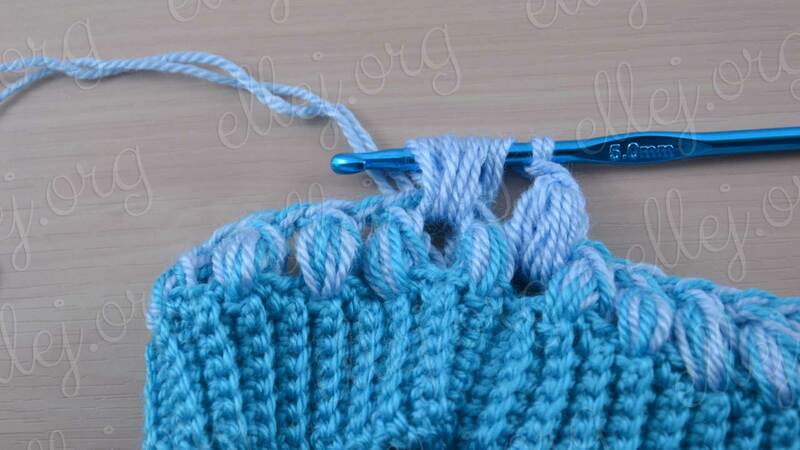 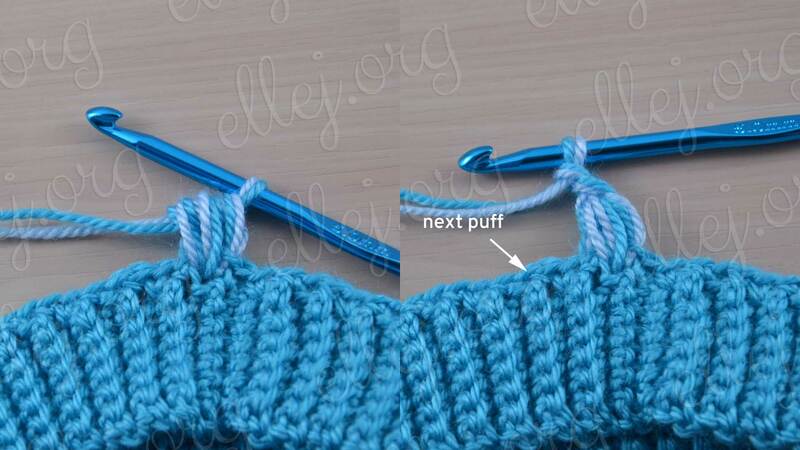 I’m starting, since brim, then several rows of puff stitches without decrease and 2 rounds with decreases. 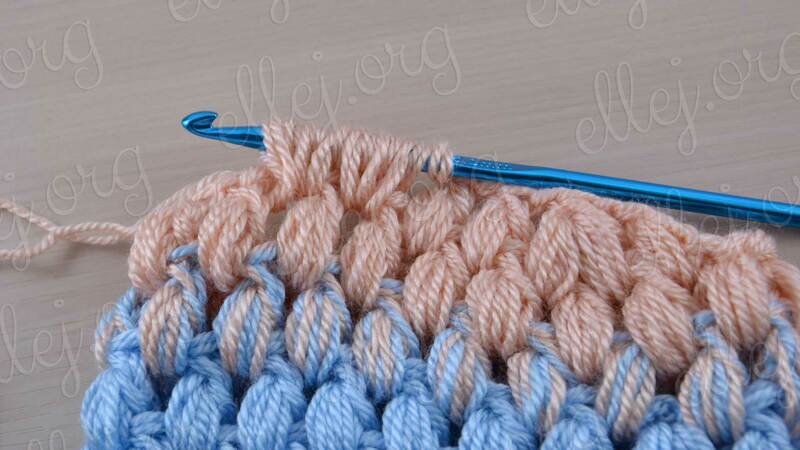 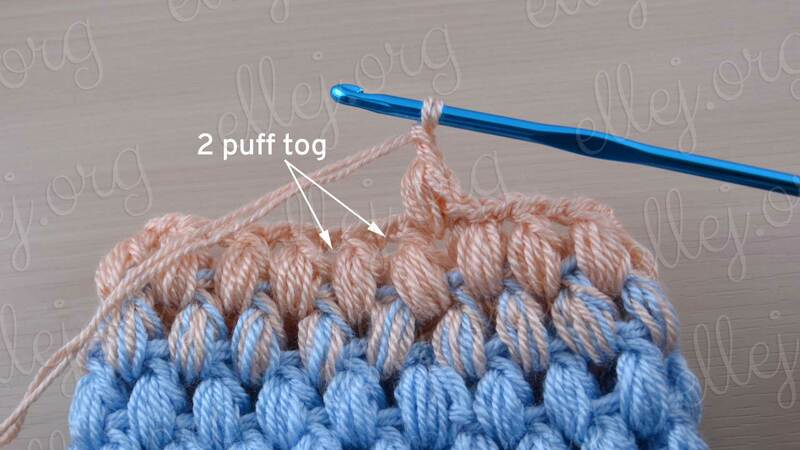 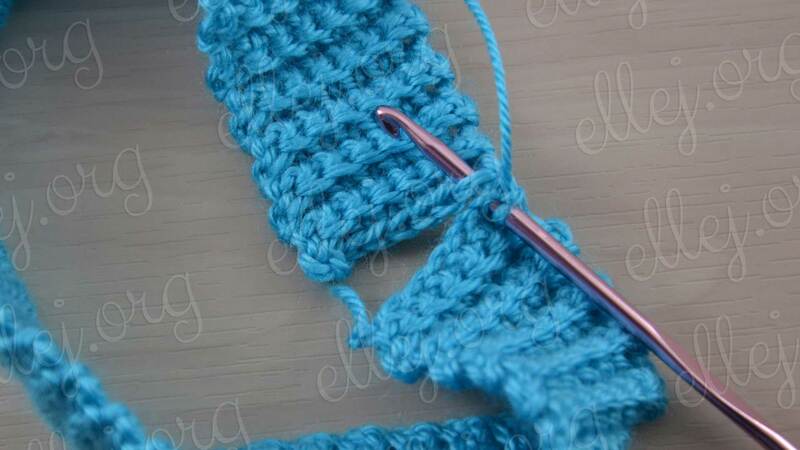 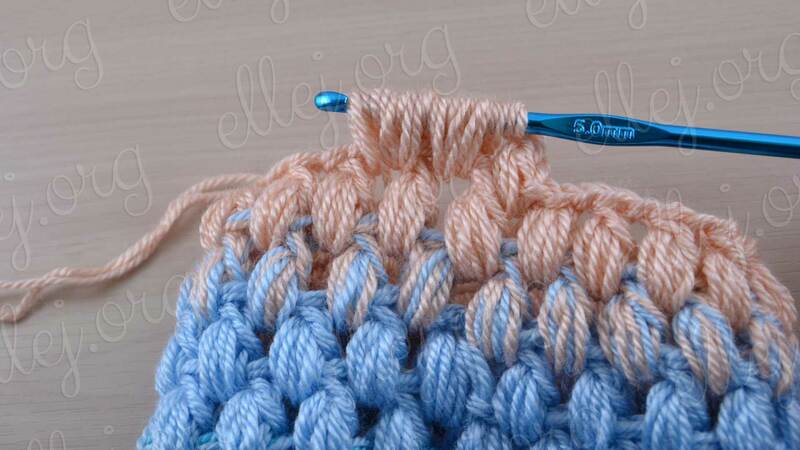 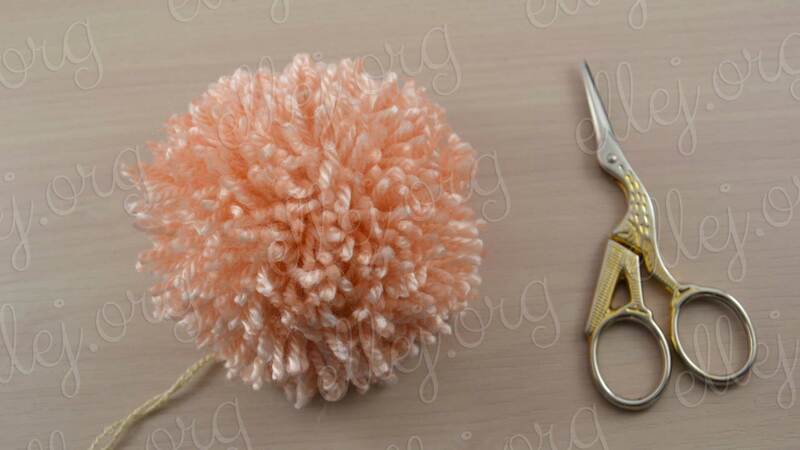 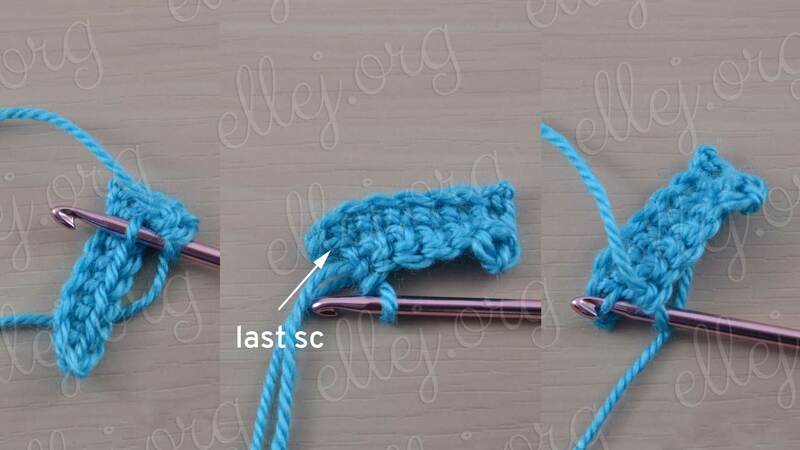 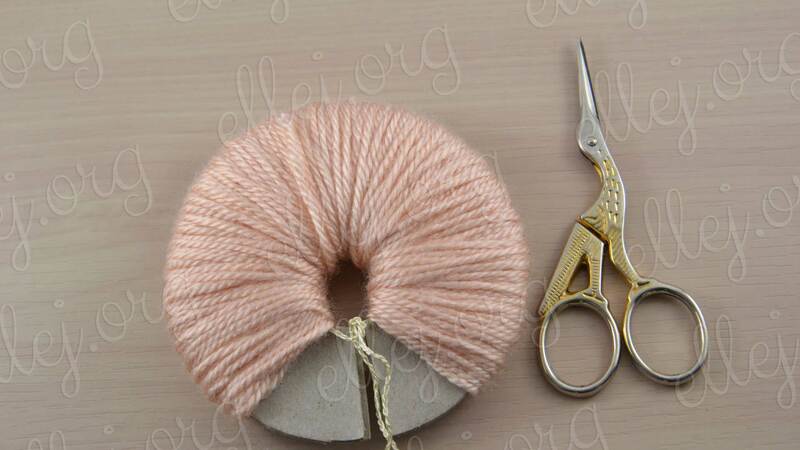 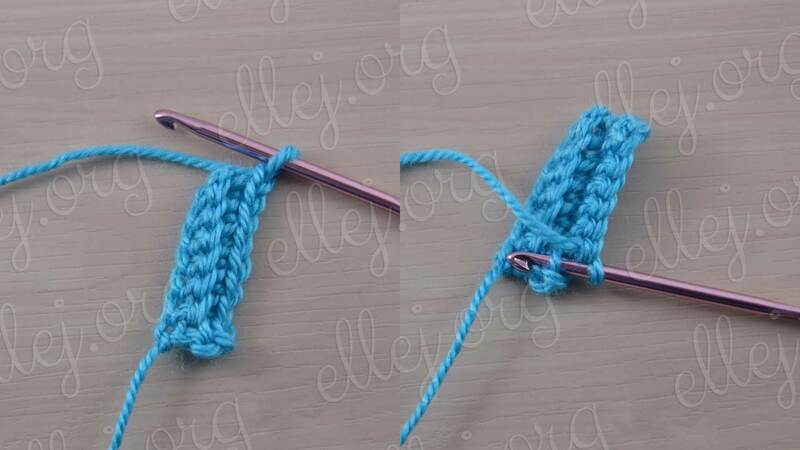 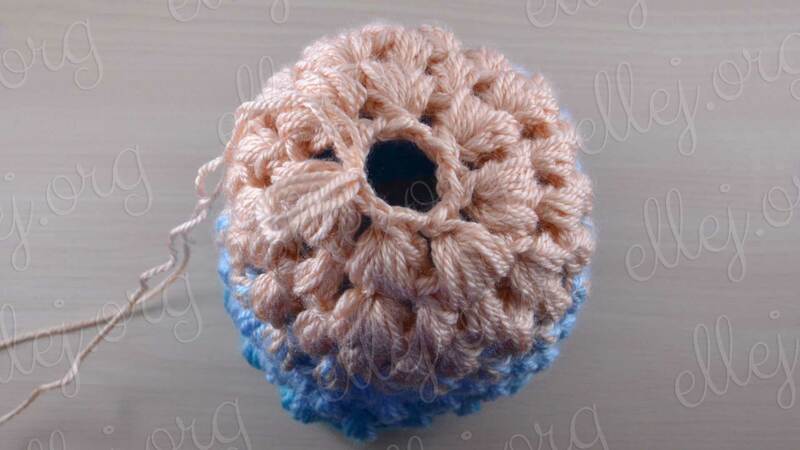 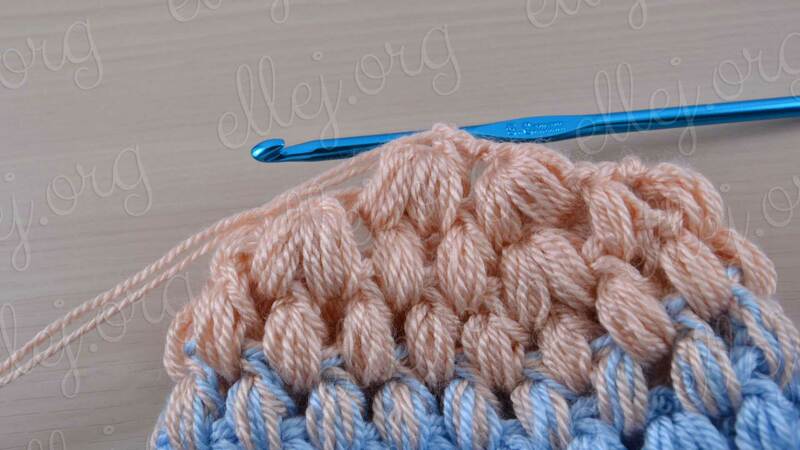 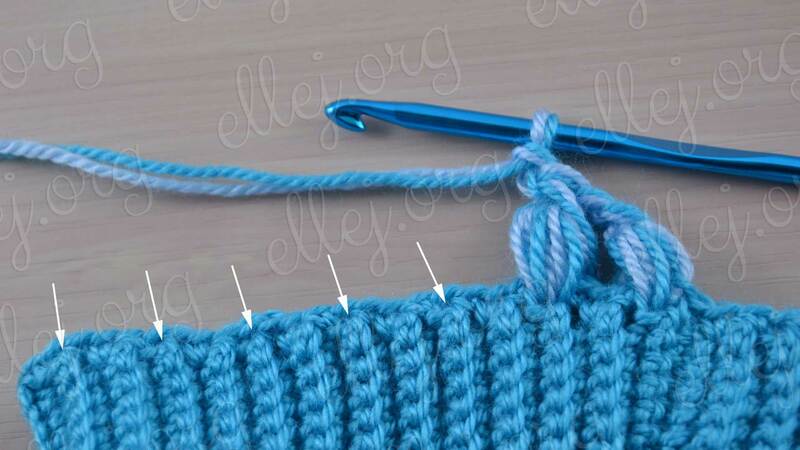 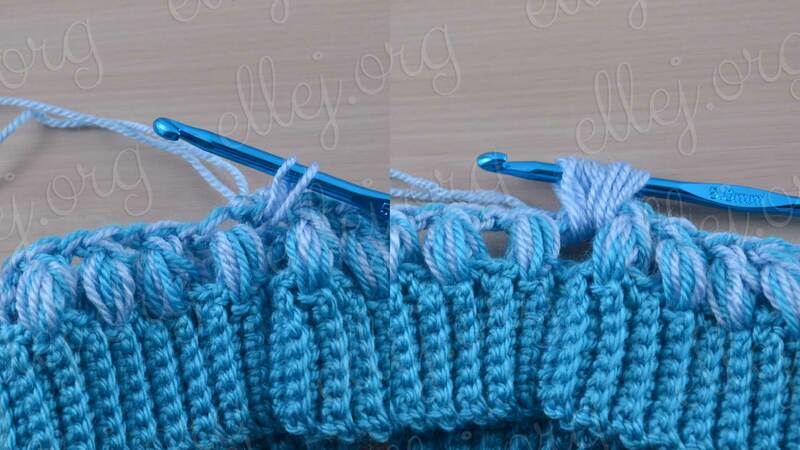 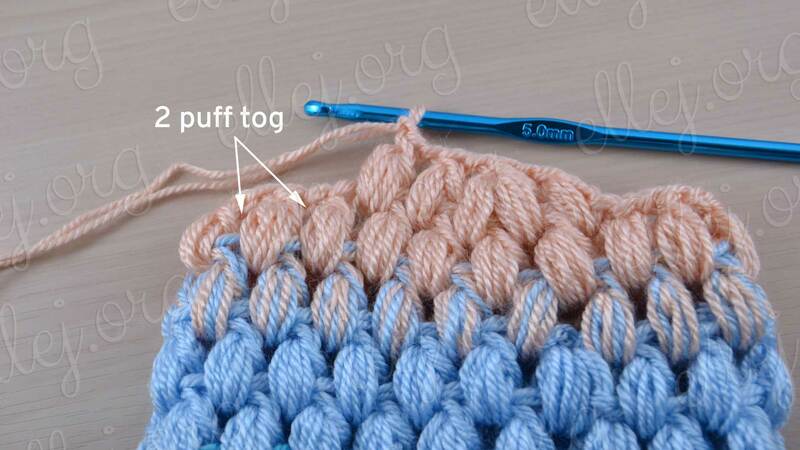 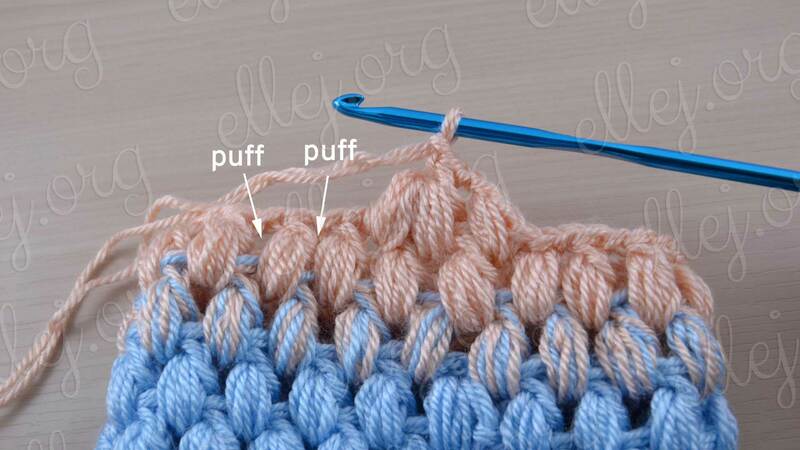 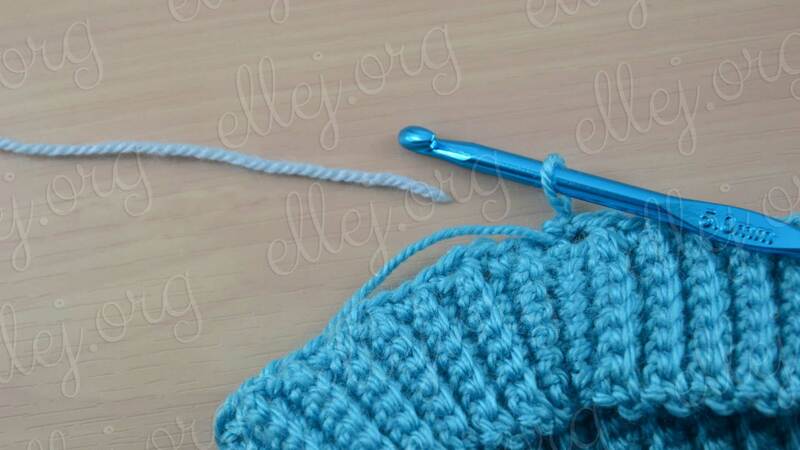 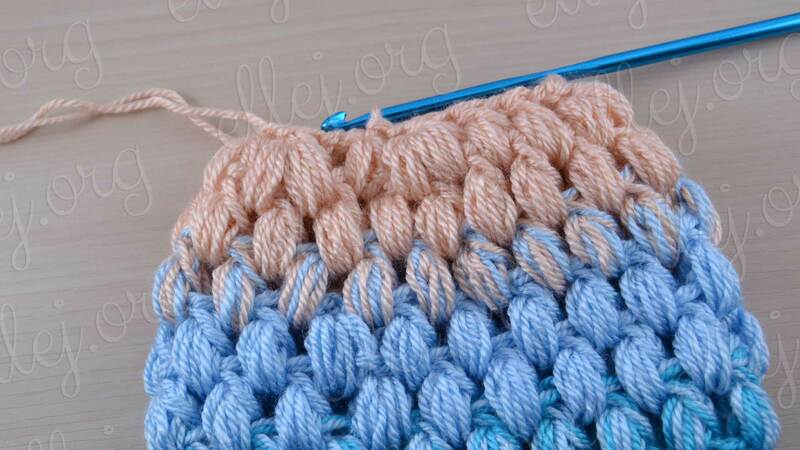 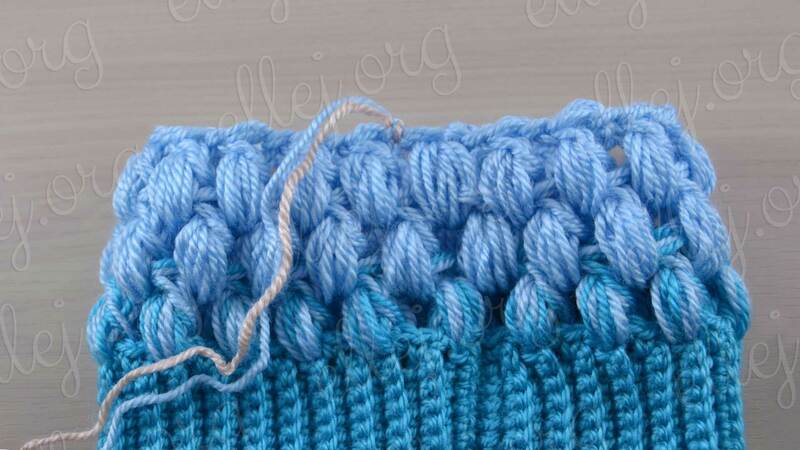 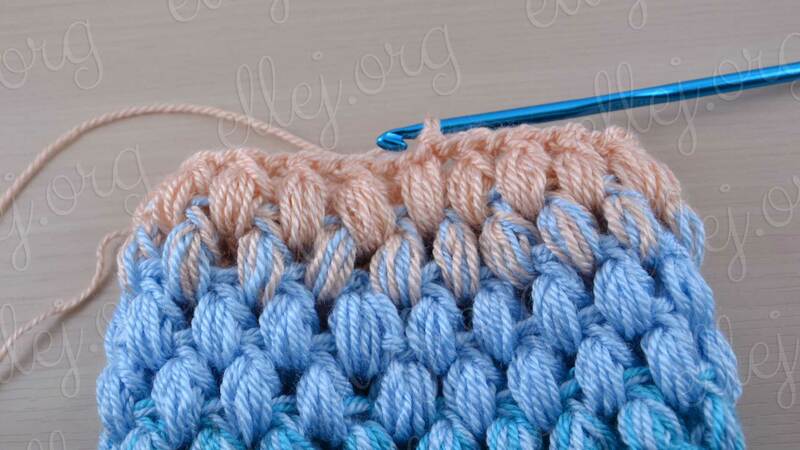 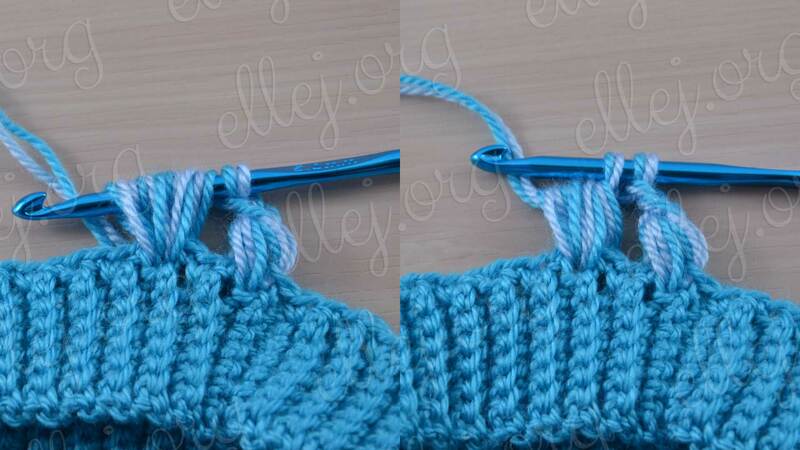 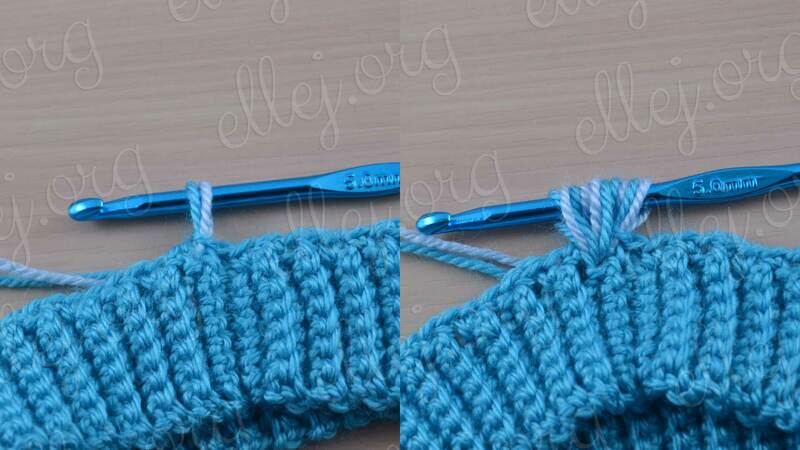 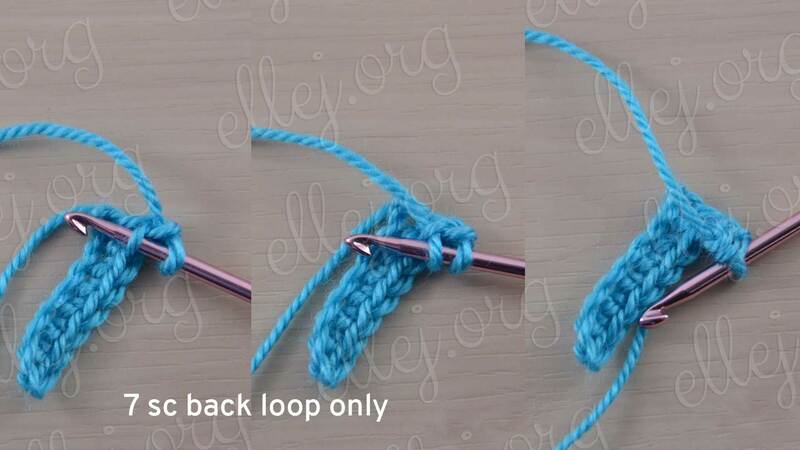 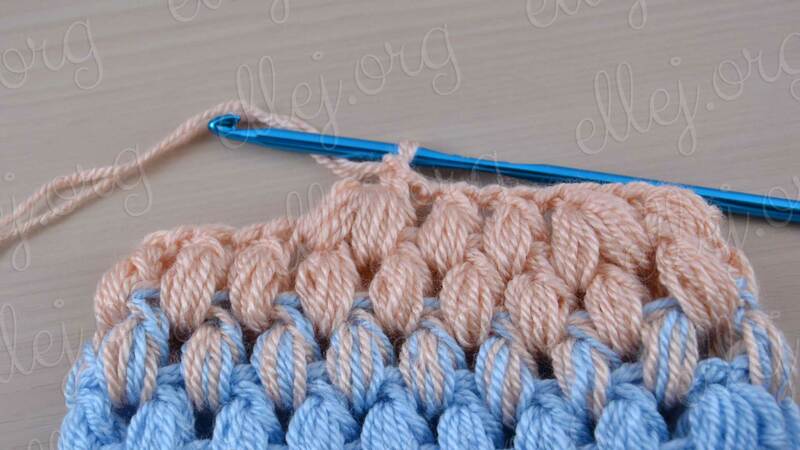 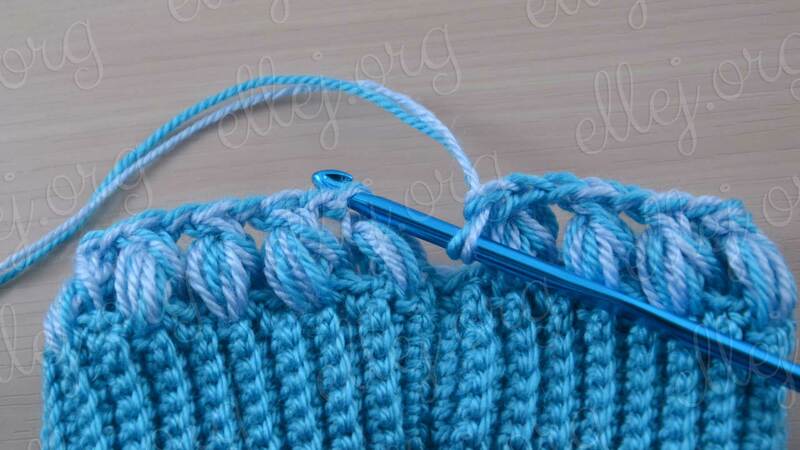 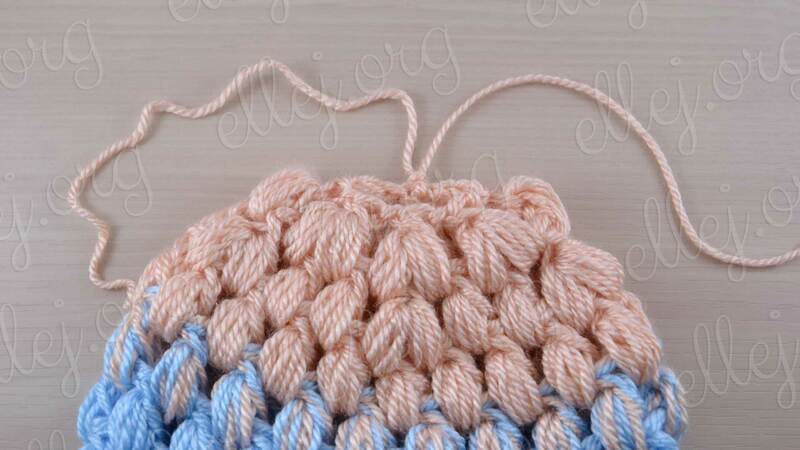 I have a detailed photo Tutorial how to crochet puff stitch circle from the center. 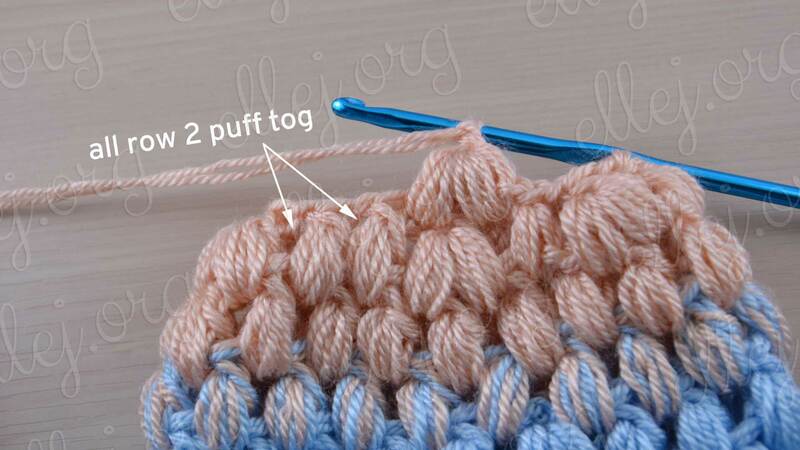 It shows how to work this hat from top of the head. 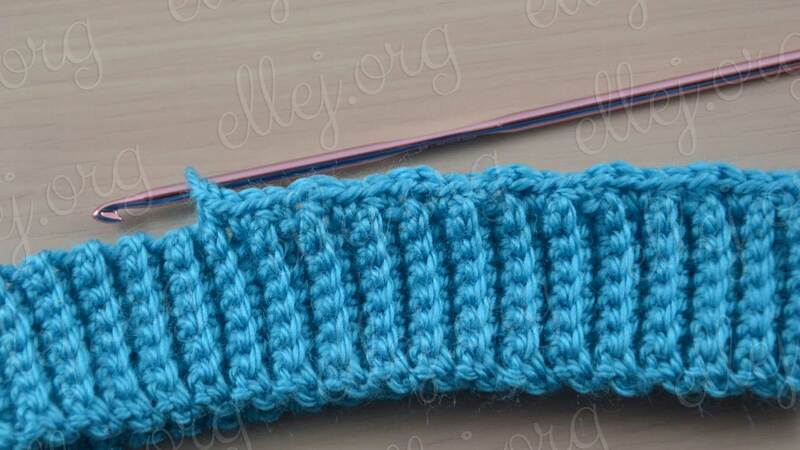 Pattern gluttonous, but hat is very small, so that the yarn will take not much, and headpiece can be made in one evening. 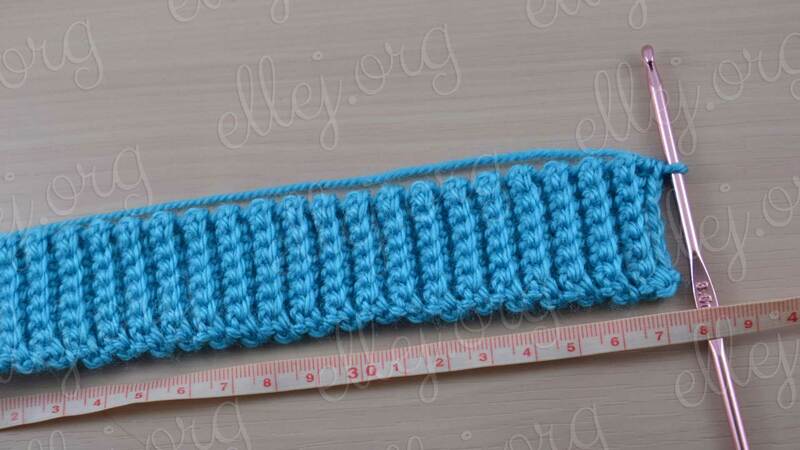 An elastic band I did in one thread. 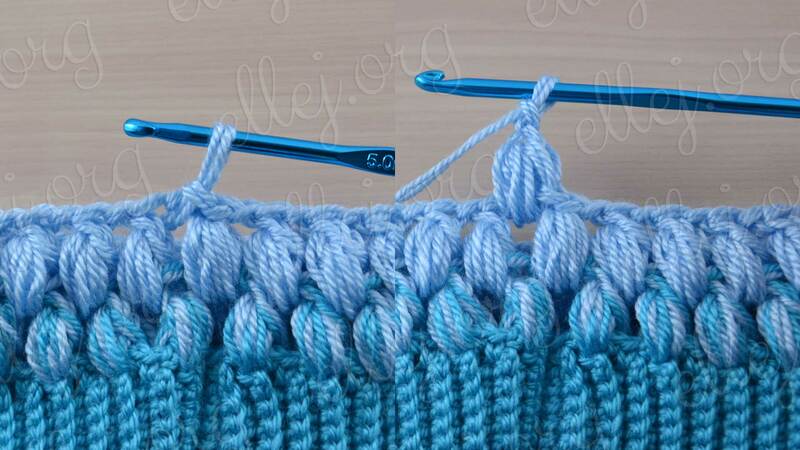 The hat work in the two thread to achieve the gradient effect. 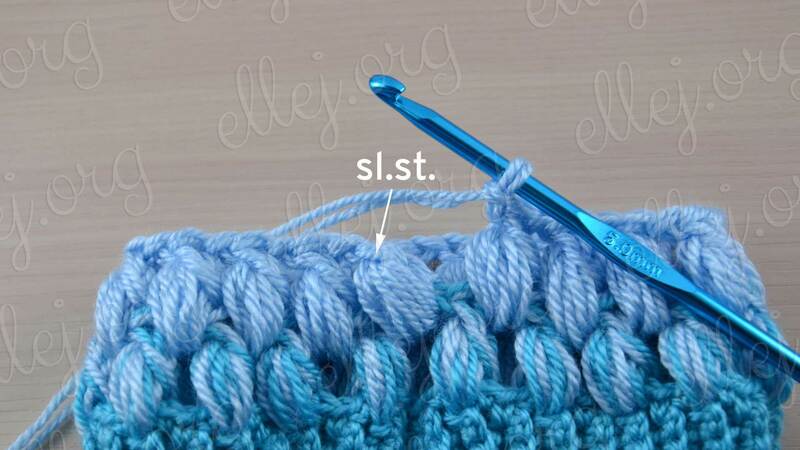 If you take a more thin yarn – can be crochet in three thread and make the transition from color to color more smoothly by replacing in each row one thread to the next color. 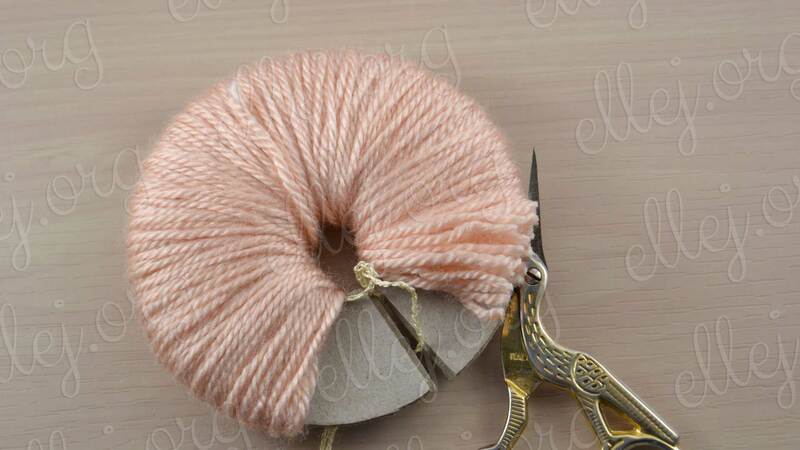 Yarn: 100% acrylic (230 meters on 100 gram). 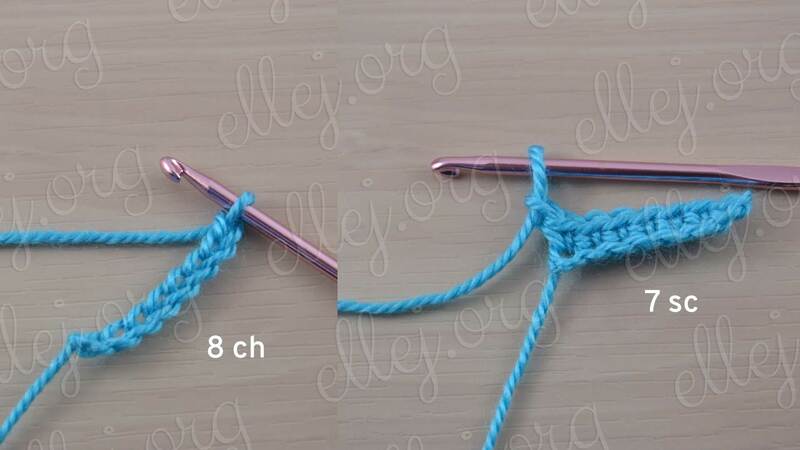 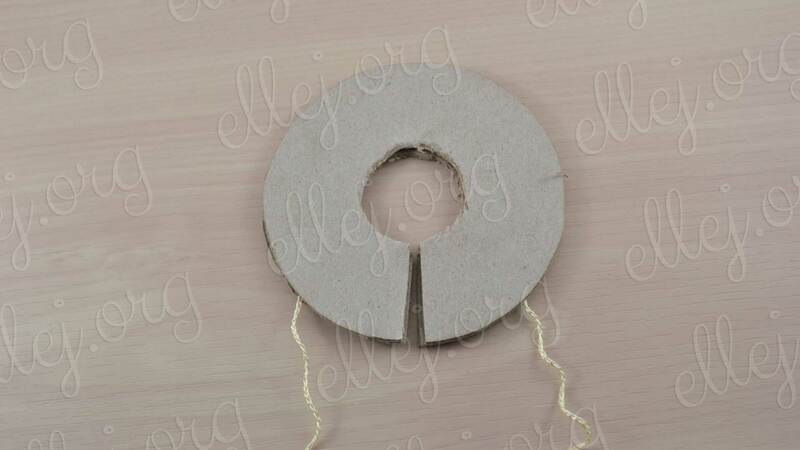 Hook size: 3,5 mm ( US: E/4, UK/CANADIAN: 9). 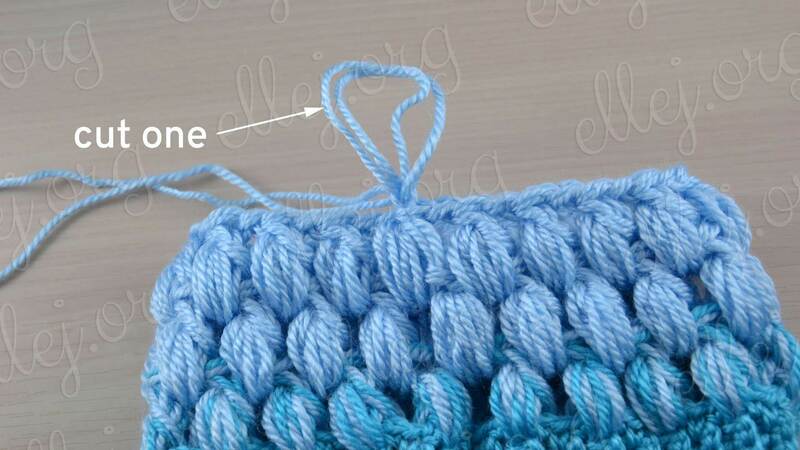 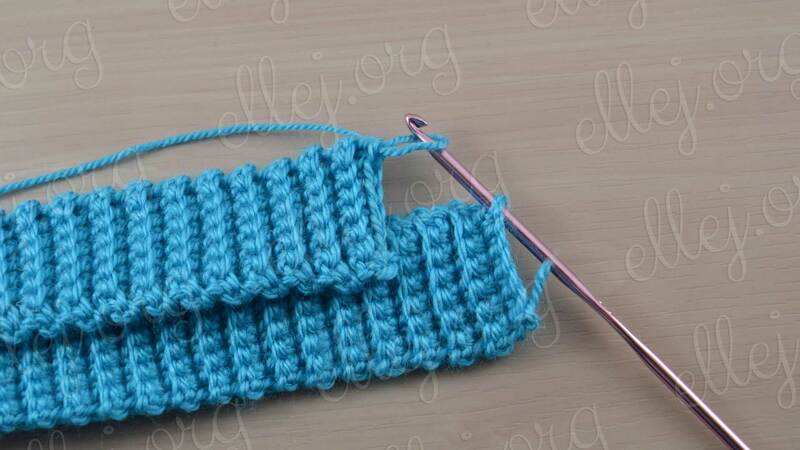 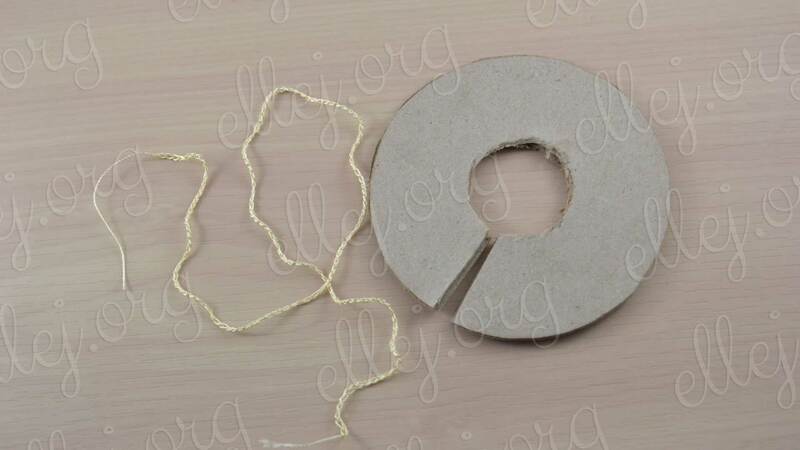 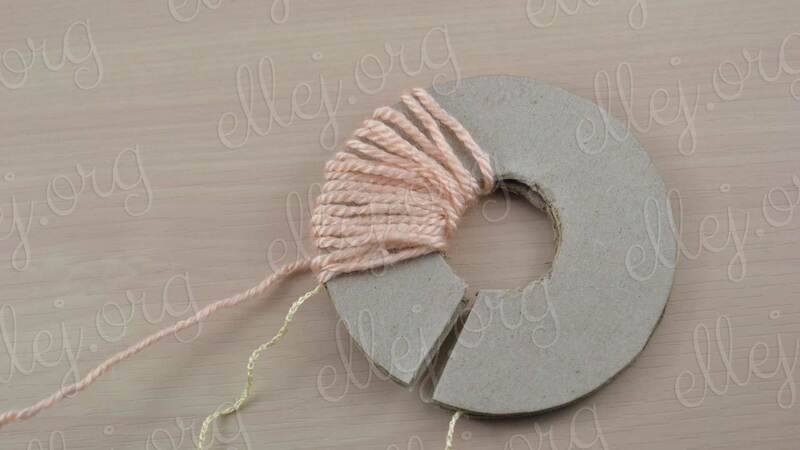 Click on the Ravelry logo to add Lace Square Motif in your projects.